On my recent drugstore beauty hunt I discovered something quite fabulous over in e.l.f. land. I am not sure quite how long it's been out, as there are online reviews from over a year ago, but I am kicking myself for not noticing this any sooner! 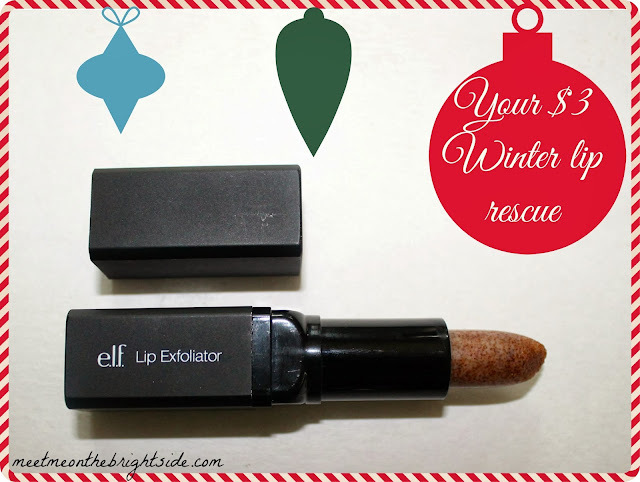 It's a $3 investment that'll bring a winter's worth of smooth lips. It's similar to a sugar lip scrub but in a lipstick form. That's exactly what I love about it! There's no messy mixing/application of sugar and oils, or cleanup. You can take it with you anywhere and it's easy to use. Check it out…. 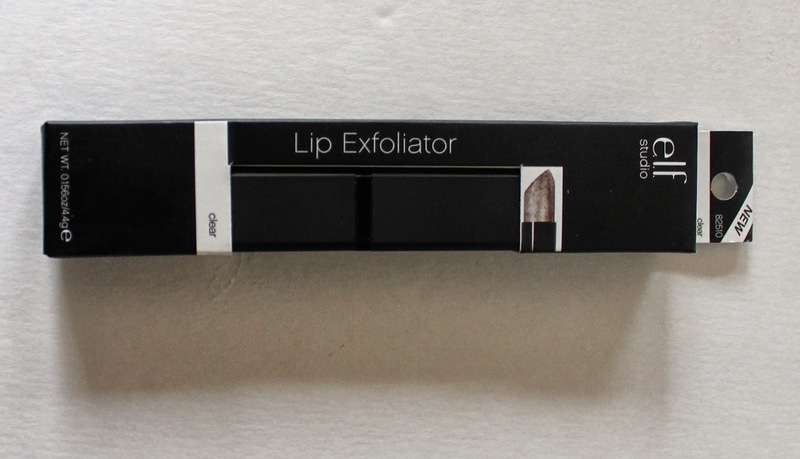 It comes in sleek black packing, and is housed in a retractable black lipstick tube. It's clear and has a faint cocoa butter scent. It has a 12 month shelf life, and after 5-6 uses the product is barely worn down. This will last a while. While using, you can actually see the dead skin rubbing off, even when you're not scrubbing like a mad woman(me). It feels slightly rough, so although there's still some glide to it your lips should be moistened before using. I wouldn't recommend winding the product all the way up when using, I've read some reviews of the stick breaking off the base. 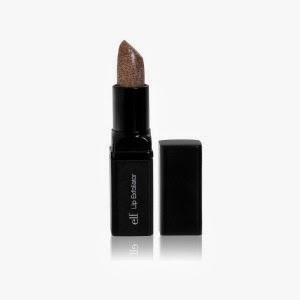 It wipes right off with a damp cotton ball and your lips are left smooth and flake free. Top with a balm to protect (I love eos), and you're good to go. Protection is important because you can use this, get smooth lips, and skip the lip balm. Then you go out in the wind and cold, it will only dry and flake lips all over again. Protect those puppies! Overall, I love this stuff! I am getting one for my nine year old to use at home because she is queen of not using balm to protect and always has scaly, chapped lips in the winter. Even though I remind her to put on her lip balm EVERY SINGLE MORNING! Ugh, girls! :) This will help! Find it at e.l.f.com or your local drug store.Thanks for reading! Have you tried this before? I'd love to hear your thoughts…. Disclosure: Purchased with my own money. No problem! I hope you enjoy it as much as I do! I've seen so much about e.l.f products but nothings made me want to look into them until this, didn't realise that they were so easily available in the UK! Now I've ordered this and loads of other stuff. Great post, I'm definitely glad I know about this product now! Thanks Lisa! 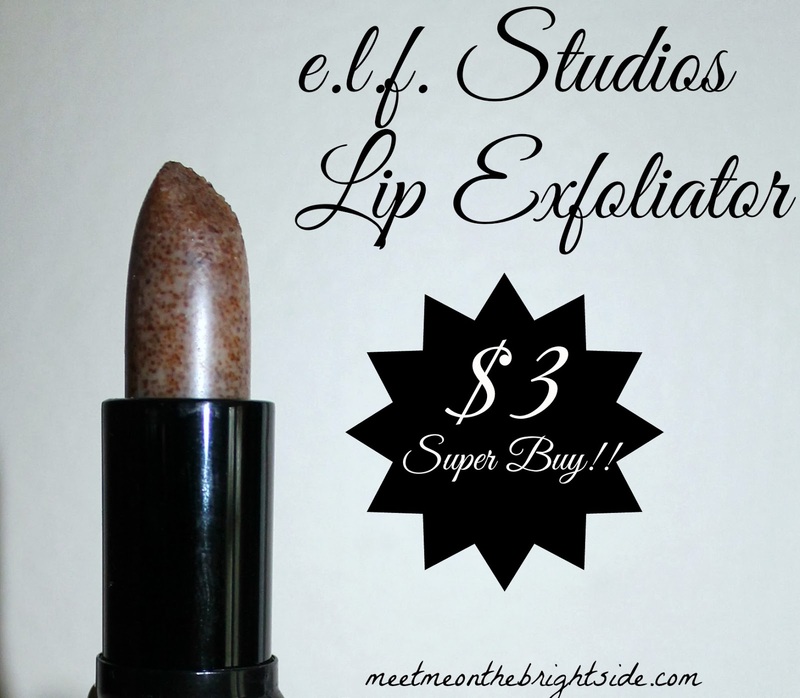 e.l.f definitely has some gems that are worth trying for incredible prices! Le me know how you like it! I have been using this for a couple years now and love it! I know it is easy to make your own lip scrub but this packaging is just so easy and convenient. You know I've seen this in stores but I always avoided it because it just seemed like a gimmick. Its good to know that it's not. I live in a colder climate and I desperately need something to help my lips.